Eric House is our top-producing Mortgage Loan Originator, licensed in Minnesota. He has served Veterans, First Time Home Buyers, Investors, and everyone in-between. He has experience with 0 down payment loans: VA Home Loans & USDA Financing. He’s also worked with traditional financing, he has helped many borrowers with their FHA loan (including the 203(k) rehab loan) and Conventional loans. Using that experience, he helps his borrowers determine the best loan program for them, from all of MLS Mortgage Group’s lenders and financing options. He gives them the tools to make informed decisions, by providing them options and striving to simplify the ever-complicating mortgage process. Between Eric House and his wife, both part of “The House Team”, they have over 26 years of combined experience. They are looking forward to the day that their dual combined experience surpasses their individual ages. They’ve specialized in home purchases since they began financing homes – but are still happy to help out our clients that are hoping to save some green by (or another ambitious reason for) refinancing. Due to their specialization in the home purchase business, their competitive pricing, as well as their ethical commitment to put clients first; they receive many recommendations from top-producing REALTORS® and other industry professionals (as well as their clients’ beloved friends and family) in the Twin Cities area. They love what they do and it shows. When they are not originating home loans and creating educational material for borrowers and industry professionals, they can be found year round, enjoying their family time. Their family time includes exploring Minnesota, biking, games, Legos, reading, gardening, and cooking together. Improving their home (and Investment Properties) is a regular D-I-Y endeavor (with some outside help every once in a while) that they enjoy together, involving their kids as much as possible. 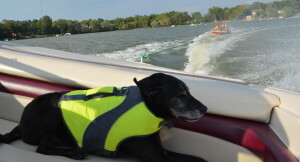 During the summer, they like to be out on the lake spending time with their kids (and they bring their rescued Black Lab/Whippet mix out with them also. They haven’t taken their two rescued cats out there, yet…). Whether it be swimming, taking pictures, enjoying the sounds and view (including our state bird), fishing, or just plain “boating” as their youngest calls it – it’s easy to find something to do out on the lake. He also enjoys audio and home theater systems. Eric has pet a tiger cub. 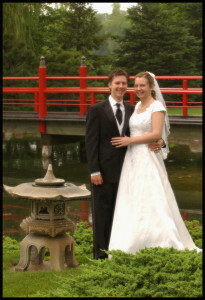 Eric was married to Shel in the same year she founded MLS Mortgage Group, in 2004. (That’s all we’ll say if you don’t like spiders, if you do, read more here).